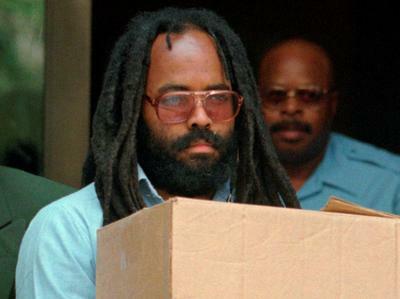 WASHINGTON (AP) -- The U.S. Supreme Court has rejected a request from prosecutors who want to re-impose a death sentence on former Black Panther Mumia Abu-Jamal, convicted of killing a white Philadelphia police officer 30 years ago. The justices on Tuesday refused to get involved in the racially charged case. A federal appeals court ordered a new sentencing hearing for Abu-Jamal after finding that the death-penalty instructions given to the jury at Abu-Jamal's 1982 trial were potentially misleading. Courts have upheld Abu-Jamal's conviction for killing Officer Daniel Faulkner over objections that African-Americans were improperly excluded from the jury. The federal appeals court in Philadelphia said prosecutors could agree to a life sentence for Abu-Jamal or try again to sentence him to death.